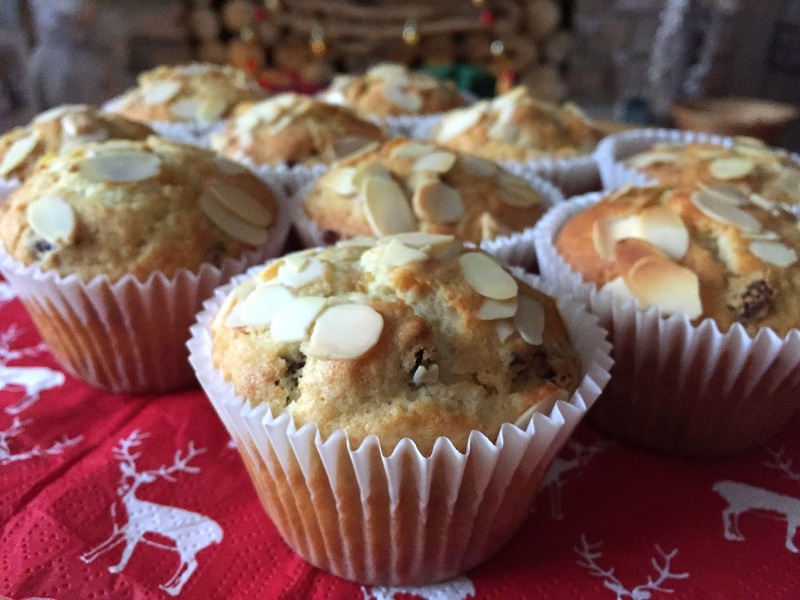 This is a very easy and satisfying muffin recipe which you can enjoy anytime of the year. However, somehow, the flavour of almond, orange and dried fruit creates a very Christmassy aroma. These are best as they are still warm. But they can be reheated by oven or microwave. Preheat the oven to 180°C and line a muffin tray with 10 cases. Whisk the egg until it is well combined, then add milk, oil and sugar and continue to whisk. Using a sieve, add the self-raising flour, cranberries, raisins, mixed peel, orange zest and almond extract to the egg and gently mix in. 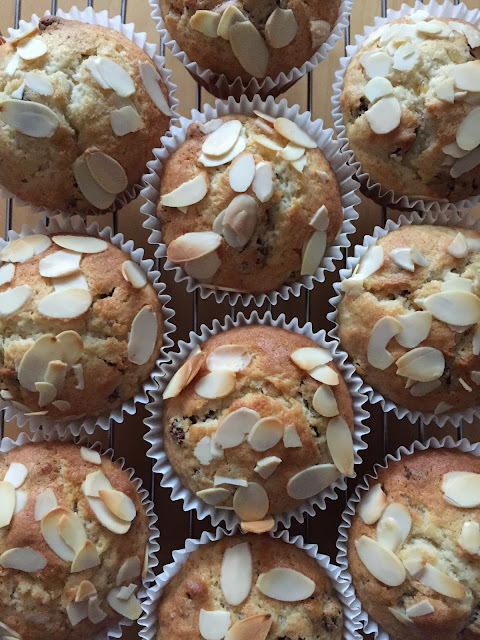 Pour the batter into cases and top with some flaked almonds. Then bake for around 20 minutes until they have risen and are lightly golden. 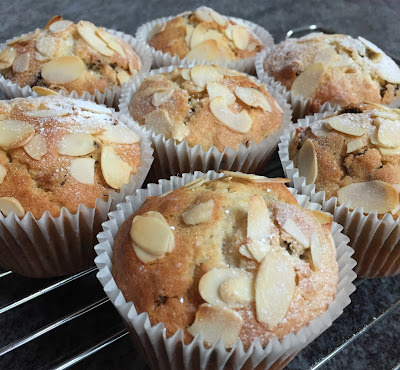 Allow them to cool and then dust the top of the muffins with some icing sugar.